Bauer Media UK has revealed ambitious plans to restructure its radio stations and change the availability of stations on DAB digital radio, starting January 2015. The move will see Absolute Radio 90s move to local DAB multiplexes and Magic go national on the national commercial DAB multiplex Digital 1 in its place. KISSTORY will launch on local DAB in several cities including London and Birmingham. According to Bauer's statement issued today, KISS FRESH, which offers non-stop new music and beats, will also be available for the first time on DAB in London. It launched on Freeview and online last year. Bauer's local radio stations, part of their "Place" portfolio, which includes Hallam in Sheffield and Metro Radio in the North East will be "enhanced by two new brand extensions in each city." For example in Liverpool, “Place 1” - Radio City on FM - will be extended with “Place 2” (eg Radio City 2 on AM) which will expand the appeal to an older, focused 45-64 year old audience, and “Place 3” (eg Radio City 3 on DAB) will offer an entry point offering current hits to a younger 15-25 demographic – further strengthening our digital capabilities. "Place 3" will effectively become a local version of The Hits Radio, which broadcasts on Freeview channel 711 and online. "Place 2" will replace the existing Magic AM service on Medium Wave in these areas, and will also be carried on DAB digital radio, where local capacity is available. Commenting on the new strategy, Dee Ford, Group Managing Director said, “This strategy marks a new era for Bauer Media’s radio brands. Our aim is to accelerate our significant lead in digital listening, growing our audiences both nationally and locally whilst making it easy for customers to access those scaled valuable audiences. 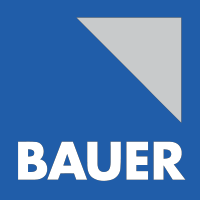 Significant investment in content, talent, marketing and platforms is underpinned with the energy and drive of the Bauer Radio team”.